At the core of every adaptable network is a flexible, secure and efficient switching platform. Extreme Switching provides platforms legendary for their high-performance and comprehensive coverage from edge to core. 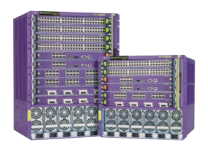 24- or 48-port copper and fiber Fast Ethernet stackable switch is a compelling converged edge product with its revolutionary modular operating system, ExtremeXOS. 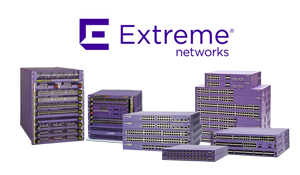 The industry’s first PoE and non-PoE edge switches with the revolutionary modular operating system,ExtremeXOS®. An effective campus edge switches that support Energy Efficient Ethernet (EEE – IEEE 802.3az) with IEEE 802.3at PoE-plus and can also serve as aggregation switches for traditional enterprise networks. A versatile,high-end Ethernet switch for data center, enterprise aggregation, and Carrier Ethernet deployments. 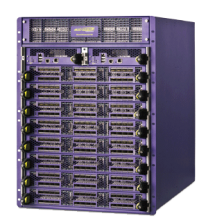 A purpose-built Top of Rack switch designed for emerging 10 Gigabit Ethernet-enabled servers deployed in enterprise data centers. Deliver voice-class availability, high-density Power over Ethernet (PoE), Gigabit Ethernet, and 10 Gigabit Ethernet wherever it is needed. Offer enterprise and cloud data center networks the highest throughput performance in the industry.